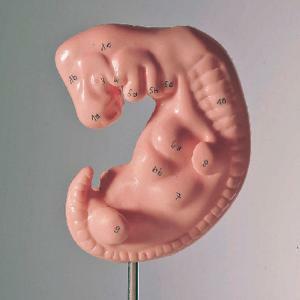 Study the beginning stages of human development with a greatly enlarged model of a human embryo. Clearly visible are the origins of individual organs and vertebrae. The model is mounted on a stand and can be removed for closer examination.